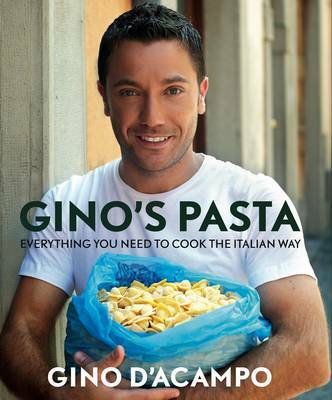 In Gino's Pasta, Gino D'Acampo, the master of modern Italian cooking, celebrates his homeland's most famous food export with an inspirational collection of 100 mouth-watering recipes that includes classics such as carbonara, puttanesca and ragu alla bologonese, as well as new twists on old favourites such as lasagne, macaroni and spaghetti vongole. Divided into six chapters - Fresh and Filled Pasta, Dried Pasta, Baked Pasta, Like Mama Used to Make, Pasta on the Go, and Pasta for those with Allergies - it includes everything from comforting baked pasta dishes, to spicy seafood and healthy vegetarian options, even desserts! Including an introduction by nutritionist Juliette Kellow explaining the many health benefits of pasta - with its low-salt and low GI - it demonstrates that pasta is not the fattening option it was once thought to be and can be enjoyed at every meal. great cook book. Ideal if you are looking to cook some simple meals as well as for those budding chefs who are looking to produce their own pasta.